“I still have a nightmare where I’m targeted by the air force in a jungle. I guess I cannot cut myself free from the memory of the war,” Yoichiro Nakano, an 87-year-old former soldier says without any emotion. He looks like a typical old man in Japan, but he resides in Mae Sod, a border city between Thailand and Burma. During World War II, around 330,000 Japanese soldiers were sent to India, Thailand and Burma. More than half of them died. Wartime operations which ignored supplies, brought the Japanese military to a state of devastation. 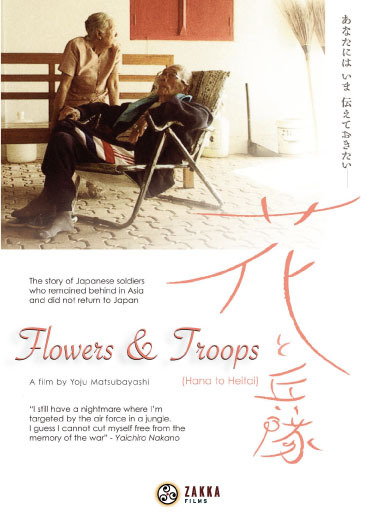 After the end of the war, most of the soldiers who survived returned to Japan after being held in concentration camps run by the Allied Forces. Nameless low-ranked soldiers escaped from the concentration camps. They did not return to Japan, but chose to remain, and indigenized with local societies. “With disarmament after the war, I left the army and escaped into the local society. My human sense, which was oppressed by the military, had regained its freshness through communication with local people,” says Isami Sakai, aged 91. After the war, they blended into village life and became local citizens. Each of them contributed to the development of their new local communities in their own way. Japanese soldiers who did not return have been stigmatized in Japan as “deserters.” However, they have protected their new families, and survived with local societies in lands far away from their original Japanese homeland.